To train for an A2 Bike Test you must be at least 19 and/or have 2 years experience on an A1 machine. 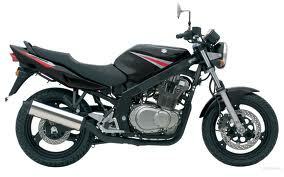 You must first pass a motorycle theory exam, which can be booked here. Passing the A2 practical motorcycle test will allow you to remove your ‘L’ plates and to carry a passenger. Once passed, you can also forget about having to retake your CBT every two years. The A2 - Standard Licence training and test is completed on a medium powered, (33 to 47bhp), machine of at least 395cc. Once you have passed the test you will be restricted to machines with a maximum power of 47bhp, until you take a further test to allow you to ride a category A unrestricted bike. You will not be eligable to take the test until you have at least two years experience on your A2 machine, and you reach a minimum age of 21. Currently, all practical bike tests are split into two modules. The Module 1 test is conducted on a purpose built site and consists of a number of riding exercises around a series of cones. This is a very short test, but it shows the examiner that you can control you bike. The Module 2 test is a road riding test where the examiner will follow you, whilst giving you directions via a radio. The examiner will want to see that your riding is safe and that you know how to interact with other traffic and obey the highway code. All the courses we offer ar Tizwaz Rider Training are aimed at getting you to the correct standard to pass these tests successfully. Please make sure you read and understand our terms and conditions before booking a course or starting any training with us.